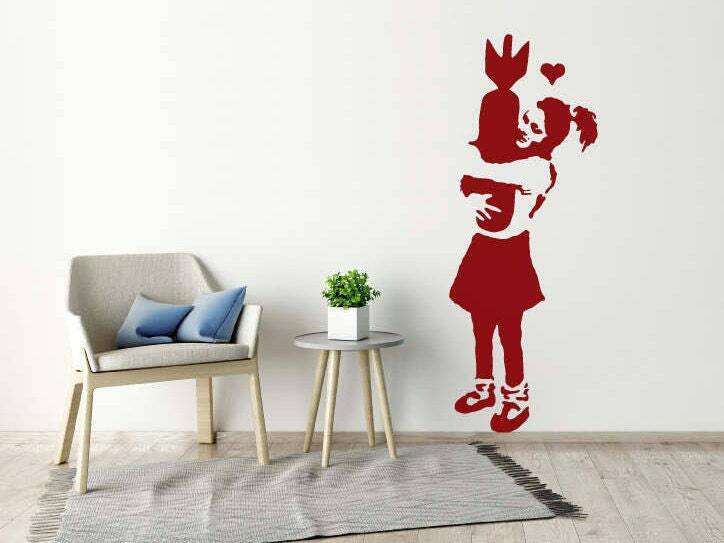 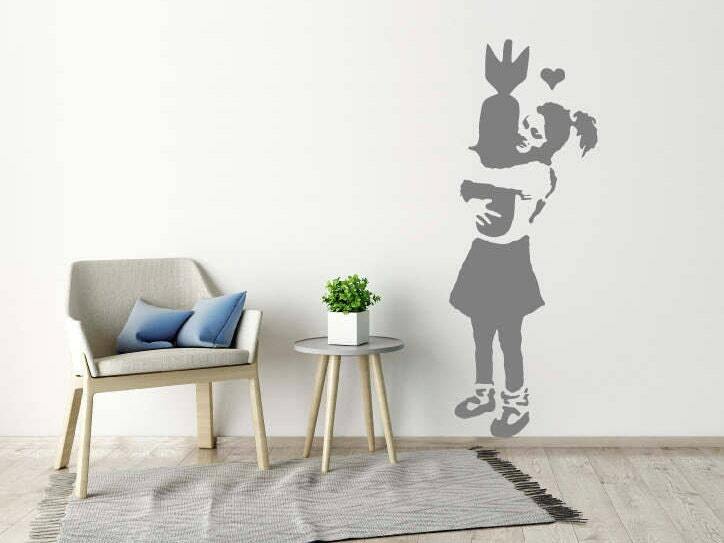 Banksy Wall sticker "learn to love", displaying a girl hugging a missile with a heart shape above her head. 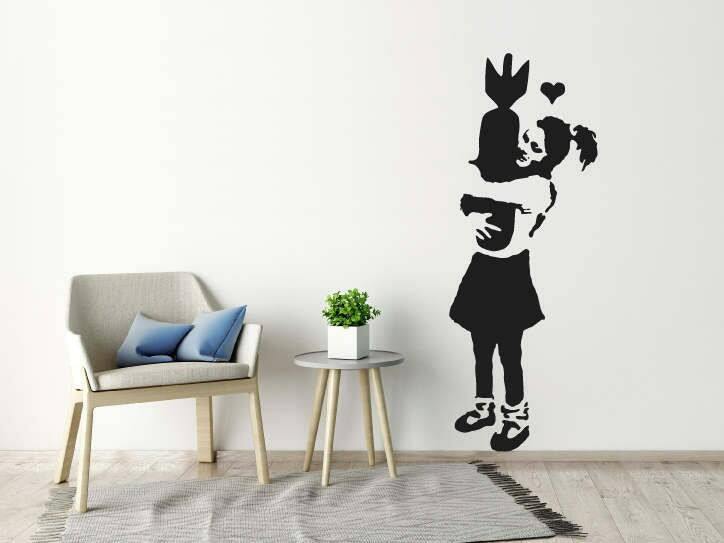 A fantastic wall sticker to bring the World famous Banky wall art/graffiti into your home/workplace. 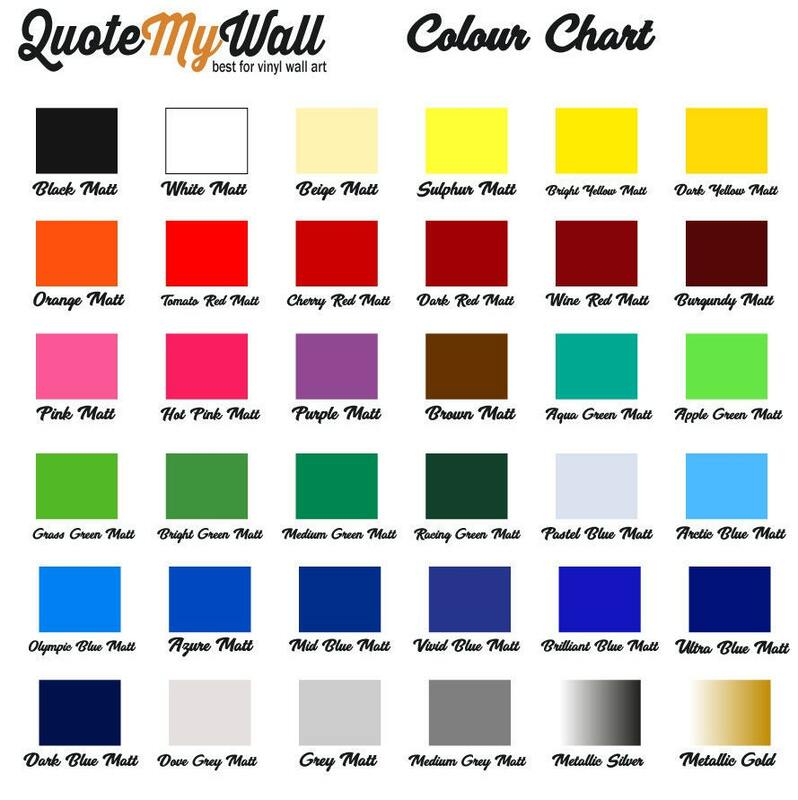 Available in 3 different sizes and 36 beautiful colour options, giving you a great range of choice to suit your needs.